Original era manufacture. 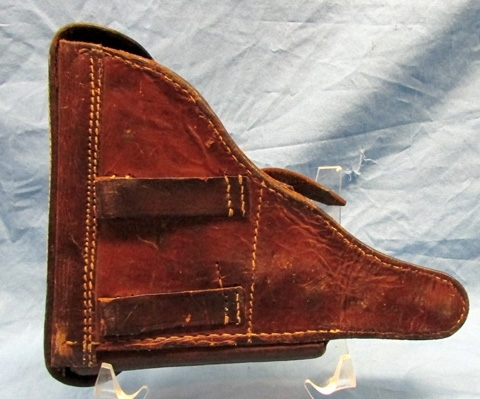 German WWII commercial made Luger holster in brown leather withGI applied insigniasouvenirs affixed to flap cover. 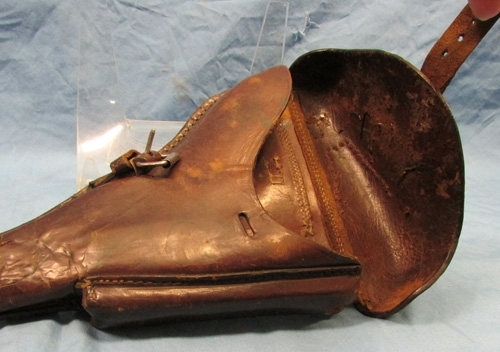 The holster is not crushed or damaged, and the leather presents a nice finish. For some reason the GI felt the need to remove the tool pocket and the leather pull strap has also been removed. Overall the stitching is sound, except for a three inch section at the front edge. I didn't notice it when I was examining the holster for purchase, only just now when describing it. It doesn't open up easily and should be an easy repair if desired. 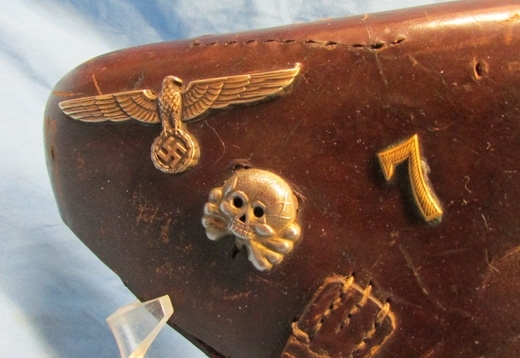 A terrific looking WWII souvenir, it's always fun to offer these GI decorated holsters on our site.